The Olsen twins don't only like their coffees super-sized, as they often carry handbags so big they could pass as weekend carry-ons. 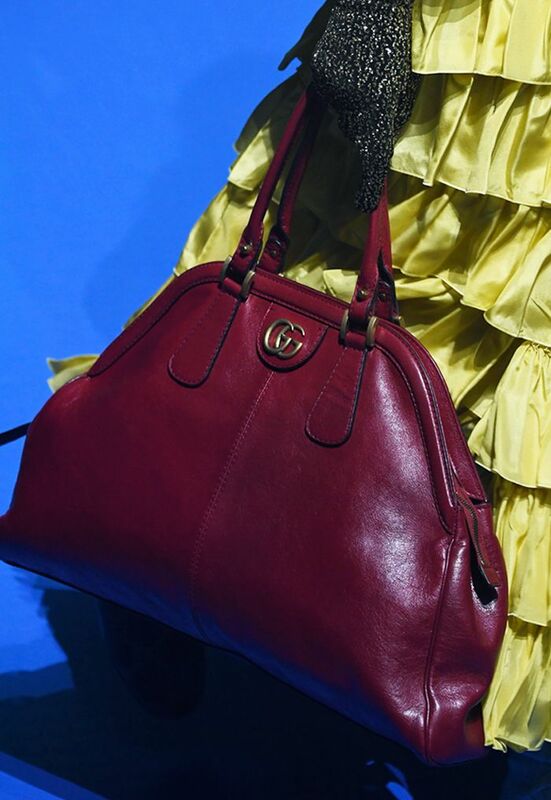 However It Bags have shrunk in recent years — Gucci's Soho bag, for example, will fit little more than your keys, wallet and phone in it. "We have been through a very long affair with mini bags, but now we are scaling up," Net-a-Porter's Fashion Director, Lisa Aiken, said in her spring summer 2018 trends presentation. Gucci's key handbag for Spring, for example, is the 'maxi top handle bag' (pictured below) which looks like it has eaten about 10 Soho bags. Balenciaga and Fendi have also returned to the super-size tote bag — and the good news is these will fit in your gym kit, laptop, change of clothes and everything you could possibly need in-between. And if you can't bear to be parted from your mini bag just yet, then you can slot it in your bag and take both out with you at once. Gucci's Maxi Top Handle Bag from the spring/ summer 2018 collection. Keep scrolling to shop our edit of the best big handbags around now. This Balenciaga bag will fit in everything you need. This is also available in rust. Wandler is one of our favourite new accessory brands. A classic you'll love forever. Next up, you'll be on first-name terms with these handbags in 2018.